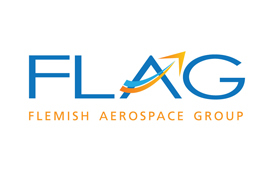 The Flemish Aerospace Group (FLAG) is an association of companies located in Flanders/Belgium and active in the aerospace markets. The organisation has approximately 70 members, who are active in most of the aeronautical sectors. The member’s capabilities range from concept, design, and certification to manufacturing and customer support. FLAG members are also involved in aerospace training and exploitation. Several members are major world industrial players like ASCO, BARCO, LMS, Sabca Limburg, Sabena Technics and Acrosoma. Our suppliers deliver to all aeronautical industries in the world. FLAG can help anybody find his way in our country, be introduced to our members, as well as to all the Government agencies, Regional (Flanders), Federal (Belgium), and European. The Flemish Government actively supports our aerospace sector throught the IWT and FIT govermental agencies. Most of the production of our member companies is for export.